We are pleased to announce the availability of AlwaysUp version 9.0, our market leading run-anything-as-windows-service solution used by thousands worldwide! Programs that allow you to run only a single copy at a time would occasionally prevent AlwaysUp from starting its own copy in the background. For example, if someone started a copy of Dropbox on their desktop, trying to launch a second copy under AlwaysUp would lead to Dropbox exiting quickly and the service failing to start. Checking the new Stop all copies of the application running on this computer setting on the Startup will resolve the issue. Instead of simply trying to launch a second copy of your program, AlwaysUp will first stop any existing instances, ensuring that its own copy will start smoothly. … and any others that should only run a single instance. As it runs your application as a Windows Service, AlwaysUp writes information, warnings and errors to the Windows Event Log. Usually this is a good thing, keeping you up-to-date on your application’s comings and goings, but it becomes rather “noisy” for applications designed to start and stop frequently. 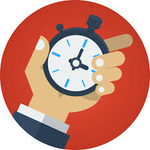 For example, if you have a batch file configured to run every ten minutes, more than 20 events will be generated per hour! Check the new Minimize event logging as the application stops & restarts box on the Restart tab to improve the situation. Afterwards, you should only see a message when the application starts or terminates unexpectedly. Normal/expected stops and restarts will not be recorded. Be sure to check out the AlwaysUp Version History for the full list of features, fixes and improvements included in this release. 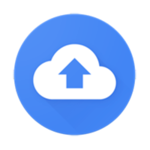 Goodbye Google Drive, Hello Backup and Sync!